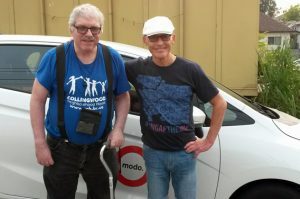 Andy is a volunteer driver for the Seniors on the Move (SOTM) program at Collingwood Neighbourhood House. He is a passionate volunteer who is eager to lend a hand when people need a little support. Ron has cerebral palsy and uses SOTM because it improves his quality of life. Andy has been driving him consistently. Ron believes that the service is really beneficial, saving time and money, and giving him an opportunity to be independent. He appreciates Andy because he feels it’s not an easy job and he never complains and is always on time. The two have a great connection and energy about them. For Andy, finding the right fit is a critical aspect of volunteering. Being a volunteer driver gives him an opportunity to get out of the house and he feels appreciated and inspired by the people he meets. It is flexible and he gets to socialize with everyone. When meeting someone, he always contacts them in advance to understand their situation and needs, have a chat, and arrange time and location of pickup/drop-off. While Andy loves to stay in shape, he explained that you don’t need to be in amazing shape to help seniors: They know their limits and his number one rule is to always ask if seniors need help before he acts. Language is the most difficult barrier. Andy slows down his speech to be clear and easy to understand. He’s not afraid to repeat himself in order to avoid misunderstandings. He recalled a situation when he took somebody to Service Canada and, in collaboration with the settlement team, took on a larger role than expected to help guide her through the process. Andy is motivated because sometimes we are forced to be dispassionate – he sees that it could be anyone in that difficult position. He loves helping people and feeling a sense of accomplishment. 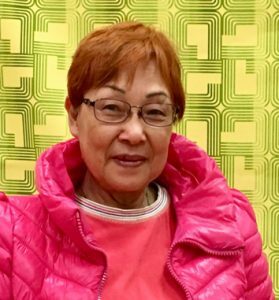 “Annabel Chan has been part of our Seniors Hub Advisory Committee from the very beginning. She is an active volunteer who cares for others in the community. Annabel runs the walking pole club, inspiring seniors to stay active and be healthy. She is friendly, kind and is often finding new ways to engage community residents. This fall, Annabel and a group of volunteers took some of the most fragile seniors from Cedar Cottage Neighbourhood House out to the park for a walk. She scouted several locations before settling on a route that met abilities and made sure to have enough volunteers to pair with senior participants. Seniors on the Move made the most of the B.C. Seniors Week, holding daily events June 4 – 8. After a launch event with funders and media, project leaders headed for Lougheed Skytrain Station to promote the 211 Seniors Transportation Hotline, distribute resources and talk to community members about a variety of transit resources. On day 2, they were at the Arbutus Greenway with West Side Seniors Hub partners. 100 seniors tried out different electric bikes and a trike. Cycle City Tours donated the trike to the project. It will be available at future events for seniors to explore different options for transportation and fitness. Day 3 was spent assessing the walkability of 5 – 6 different areas in Vancouver with partners from the SFU Gerontology Program. They created a digital version of the SFU “SWAN” assessment tool and also had it translated into Traditional and Simplified Chinese. On day 4, they went on HandyDART and rode the North Shore Go Bus. Day 5 was spent with TransLink at the TriCities Wellness Forum, sharing information about transit and options for when people stop driving. Earlier this summer, about 15 people joined a Neighbors’ Gathering Party for seniors at Coleopy Park, a subsidized housing site with 58 units for low-income seniors and families. In addition to fun activities, they learned about community services. Mary, a senior resident, led a chair exercise activity. At the beginning, she was not very confident and forgot some movements. A Neighbourly Together volunteer provided gentle guidance until Mary resumed her leadership role. Mary was empowered by nice feedback from the group and hopes to run a chair exercise group in the building if possible. Lily came to South Vancouver Neighbourhood House with a tight frown. She had to find a shelter in a week before the move-out deadline. “When renters know I pay my bills on income assistance, they always have excuses to say no.” Lily has health issues due to hard work in her young age, and she has to raise her teenage daughter on her limited income assistance. “My daughter is 16 years old, but we still have to share a small bedroom to save money.” With multiple barriers – finance, health, employment, and language – Lily is experiencing a tough time. Unfortunately, there are no shelter services at SVNH to help Lily with her urgent housing need. However, staff did not give up. We made calls and connected her with a Vietnamese-speaking worker at another agency. “Their office is very close to my home. I can walk there and save a bus ticket.” Knowing she uses regular compass card, staff double-checked information for an annual bus pass. When Lily learned she is eligible to pay only $45 for a whole year pass, she calculated quickly. “I can save about $100 for the rest of this year!” For the first time that morning, Lily had bright smile. More than 50 seniors living at Menno Court enjoyed a special day at the end of February. For many years, they had not been able to come together to share food, celebrate a festival or watch a live music performance. But, they had all the happiness this year. Menno Court is an independent living site with about 300 seniors. Most of them are low income and socially isolated. 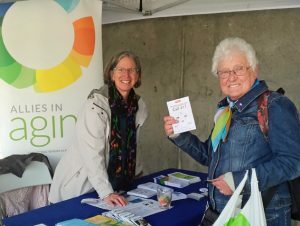 Since last summer, the South Vancouver Neighbourhood House – Allies in Aging – Neighbourly Together Project has provided information sessions, door-to-door outreach, and neighbourly gatherings there. It cheers up the seniors. They believe they are not forgotten. During the Lunar New Year Festival, Neighbourly Together invited a Chinese traditional musical band to give a live performance. The band brought back sweet memory to the Chinese seniors, as well as to those from diverse cultural backgrounds. More exciting, a few residents shared their own talents such as playing harmonica and singing. Some seniors helped setting up in the early morning without being asking. They also felt so good when neighbours appreciated their volunteering. Sam (not his real name) lives in BC Housing and was very much alone and isolated. Before outreach connected him with Burnaby Neighbourhood House, his main destination was a fast food restaurant near his home. 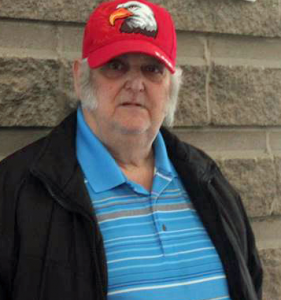 After becoming a regular at the Seniors’ Together Program, he started to volunteer with set-up and now joins other seniors on a monthly outdoor program. More recently, Sam joined a new seniors’ community kitchen program, where he is learning about nutrition and how to cook for himself. Through his involvement with Allies, he has increased his social network and embraced a healthier lifestyle, even shifting to green tea instead of drinking coffee.